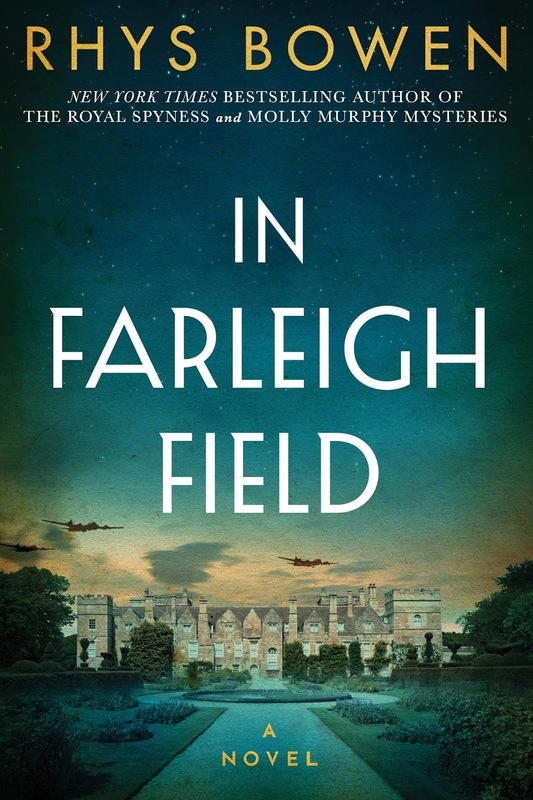 In Farleigh Field is a historical fiction novel that blends spy action and romance into a story that everyone can enjoy. Rhys Bowen, author of the Molly Murphy mysteries, crafts an intriguing read set in the thick of World War II. I was quite surprised when this story fully engaged me from the very beginning to the end. I'm not a big history buff and war reads aren't my forte, but In Farleigh Field touches on more than either of those topics. Farleigh Place, the home of the Westerham family, has become occupied by soldiers. Two of Lord Westerham's daughters, Margot and Pamela, are assisting with the war effort although their actual duties are not to be disclosed to their family or friends. During the war the people are cast into a manner of living in which they have to be secretive, to keep sensitive information from reaching the wrong ears, and learn how to live with less. Everyone feels the pressure and suspicions arise as some seem to be doing too well, even with all the rationing, and everyone is aware of the possibility of infiltration by German spies. When a soldier crashes to his death onto Farleigh land with no identification, Ben Cresswell is sent home to investigate. As an agent of MI5, he is also assisting in the war efforts in London. As the story unravels Ben travels along the country working to uncover a devious plot and sniff out traitors. Along the way readers get a genuine feel of what it must have been like for people during that era. While some, like the RAF pilot Jeremy Prescott, want to fight hard and party even harder others just hoped the war would end soon. Rhys Bowen masterfully weaves in a multitude of different perspectives on the war. Some want the Germans to invade while some couldn't think of what the country would come to should that happen. 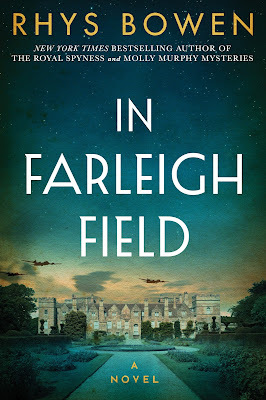 In Farleigh Field is a lively account even as the characters face dangerous situations. In Farleigh Field is a story for everyone. There's romance to lighten the serious tone and a sense of adventure that will keep you reading. Rhys Bowen hit all the right notes in this World War II drama! Rhys Bowen is the New York Times bestselling author of over thirty mystery novels. Her work includes the Molly Murphy mysteries, set in 1900s New York City, and the Royal Spyness novels, featuring a minor royal in 1930s England, as well as the Constable Evenas mysteries about a police constable in contemporary Wales. Rhys’s works have won fourteen awards to date, including multiple Agatha, Anthony, and MacAvity awards. Her books have been translated into many languages, and she has fans from around the world, including the 12,000 who visit her Facebook page daily. She is a transplanted Brit who now divides her time between California and Arizona. Connect with her at rhysbowen.com.